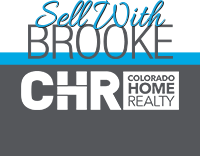 OPEN HOUSE 4 / 6 / [email protected] WELCOME HOME to Castle Pines North and discover your new home! This great property is a large 4 bedroom / 4 bathroom home with plenty of square feet (close to 4K). Enjoy the safety of cul-de-sac living along with a huge (.40 ACRES) lot that is completely fenced in. You will love the Walk-Out basement that is finished W / a great room, Large Bedroom, and Private full bath. The main level kitchen features granite counter tops and stainless steel appliances, not to mention a great nook, for that cup of morning coffee. Great for entertaining, your family room opens to the kitchen and features a warm and cozy gas fireplace. Or have your guest step out on the newly refinished deck, that will be great for your Summer Time gatherings. The upstairs is wide open and features the master bedroom, W / it's 5 piece bath. You also have a huge loft area, to where the additional space can address so many family needs. Come home to this great Castle Pines North property today!